of classical and contemporary masterpieces to First Church. Come enjoy the glorious music of Monteverdi, Pitoni, Ola Gjeilo, and others, inspiring spirituals and traditional songs from North and South America. Désirée La Vertu, Conductor. Childcare is available by advance registration – 619-297-4366. Since 1906, the Occidental Glee Club has played a central role in the life of Occidental College, drawing musicians of the highest caliber and giving voice to their college spirit. Much has changed since the Glee Club was first established, but it has always been a group devoted to the study and performance of advanced choral repertoire. Their reputation for excellence has carried the banner of Occidental far into the musical world through national and international tours and recordings, and through the generations of choral conductors who have been affiliated with Occidental. 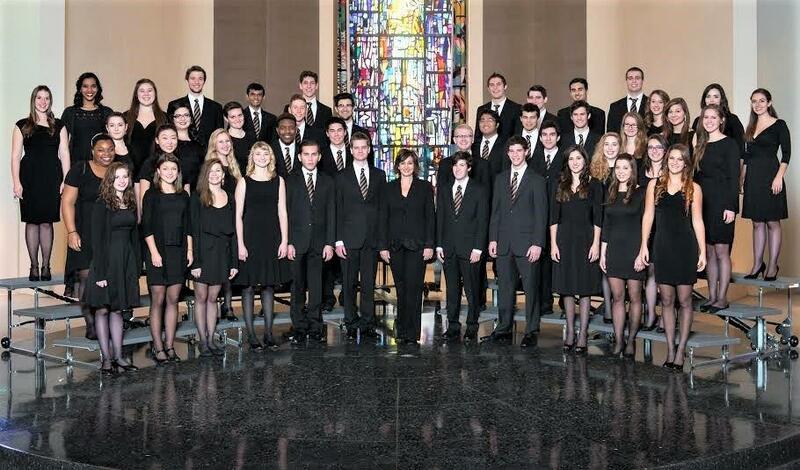 We welcome the Oxy Glee Club, as well as numerous San Diego alumni, for their first appearance at our church.